From Cincinnati Gazette, June 3, 1883. Reprinted in Circus Scrap Book, Vol. 1, No. 1 (Jan), 1929, pp. 15-20. To most people a clown is a clown, take him in whatever guise you will, and the fool in motley, with the cap and bells, differs not a whit from the Punchinello of a pantomime. Yet this merry man of the arena is not a new found acquaintance, by any means, and can boast his descent almost directly from the classical times, having figured, as some assert, in the ancient MIMI of the ATELLANIAN fables. Harlequin and Punchinello, both of whom retain the character of jesters, wags and buffoons, find a place in dramatic history of all Nations, and it is believed existed among the Romans before the time of Plautus, continuing to play their frolics during the middle ages, when the legitimate drama was unknown. Indeed, the images of these grotesque characters have been discovered by antiquarians on Etruscan vases and, among the characters in the earliest of our English plays, the fool frequently occurs. Though the term clown and fool are improperly used as synonymous by these early writers, and the fool denoted, in some of the old plays alluded to, either a natural, as they were then called, or a witty hireling, retained for the purpose of making sport for his employers, a clown was a perfectly distinct character, and one of much greater variety. Richard Tarlton and many other actors, as far back as the time of Ben Jonson, had distinguished themselves as clowns. In 1723 the pantomime clown began his reign upon the English stage, the circus fool coming many years later. In December of the year mentioned, Rich, the London manager, produced the first regular pantomime at Lincoln's Inn Theatre, entitled "The Necromancer, or, The History of Dr. Faustus," which Doran tells us conjured all the town within the ring of his little theatre, and raised harlequinade above Shakespeare and all other poets. In a divertisement of this description, presented by Mr. Rich several years afterwards, the name Grimaldi appears as Pantaloon and in 1758 this same famous clown relieved the tragedy of RICHARD III as enacted by Mossop, by appearing in comic dances between the arts. Our modern circus clown is a direct descent of Punch and was brought into being, as one might say, by Old Astley, of London, who died in 1814. Philip Astley was a famous rider who first exhibited equestrian pantomimes in which his son, who survived him for a short time, rode (as it is said) with great grace and agility. Astley had amphitheatres (famous establishments they were, too,) in London, Dublin and Paris and migrated with his actors, bipeds and quadrupeds from one to the other. Belzoni, the celebrated Egyptian antiquarian, who unearthed many famous tombs at Thebes, and earned great distinction as the discoverer of the entrance to the pyramid, was at one time a clown in Astley's London house. With Rickett's Circus, which was the first that ever exhibited in the United States, the clown was transplanted to American soil and today is such an institution in our midst that tented exhibitions like Barnum's, Forepaugh's and Robinson's are compelled to have not one, but a dozen or more; and so great is the difference in their skill and the character of their performances that they are classed under almost as many different heads. 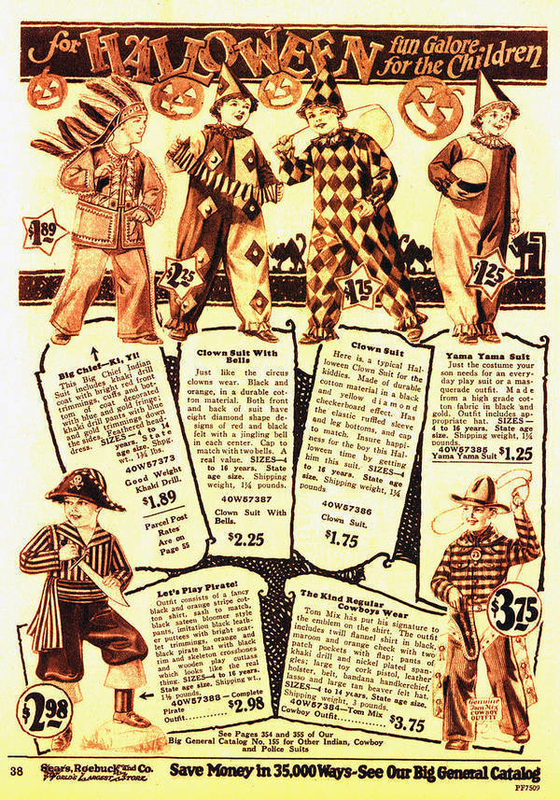 Four distinct species of clowns are recognized by our showmen, i. e., the Talking Clown, the Silent Clown, the Pantomimic Clown and the Trick Clown. Of Talking Clowns Dan Rice is undoubtedly the greatest that ever lived, having achieved such fame as to be able to command a salary at one time of $1,000 a week with all expenses paid. Dan was the best of the so-called Shakespearean jesters and was paraded about the streets in a coach-and-four with a handsomely-bound copy of the great William's works open before him when, had his life depended upon it, he could not have spelled out a single word of the text. Away back in the 50's when old Van Orden was travelling about the country at the head of a circus, Dan Rice was the possessor of an "educated pig" which he exhibited in a side canvas. Fortunately for Dan, Van Orden's clown, a fellow of no great reputation and so addicted to his cups as to be utterly unreliable, was incapacitated for work by intoxication, and Dan was called upon at short notice to take his place. Van Orden had the brains and Dan the impudence, so between the two, jokes - enough to carry him through the performance - were strung together and to the surprise of everyone made the most remarkable hit with his antics, his reputation increasing day by day until, within a very brief space, he stood at the head of his profession. Long before Rice's debut, however, great clowns were not wanting and John May, John Gossin, Sam Lathrop, Sam Long, Joe Pentland and Old Dan Gardner reigned supreme. May, Gossin and Long were a peculiar trio, each in turn acting in the capacity of liege lord to the famous Madame Delphine who, in her time, had no fewer than seven husbands. Each of the three poor fellows alluded to died of softening of the brain, some said owing to the poisonous effects of the bismuth with which they whitened their faces, while others insinuate that bad whiskey and a scolding wife proved more baneful than the compound blamed by many as the cause of the great Fox's taking off. Considering the number of clowns that have died in the asylum some, like poor Fox and May, having to be confined in padded cells and harnessed in straight jackets, Old Gardner of all the early clowns was about the only one that died possessed of anything, and yet his early career was less promising of any, he having first appeared before the public in the character of a female impersonator in a minstrel show and a very poor one at that. However, he was well fixed in after years and lived to be honored and respected by a large family of children some now among the best-known people of Philadelphia. However, it must be remembered that the salaries of circus performers in those days were nothing as compared to what is paid now. Gossin, it is said, got but $80 a month and was compelled to assist in the putting together of the show wherever an exhibition was given. "We had no canvassmen even when I began the business," said a well-known rider, John Wilson, in conversation upon the subject the other day, "and the clowns, riders, performers, in fact everybody connected with the show, had to turn out, rain or shine, to put up the canvas, build the ring and look after the horses." Old man Walcott, Teddy Walcott as he was familiarly known in times gone by, now the business manager of Buffalo Bill's Wild West, was one of the most famous of talking clowns just before the breaking out of the war, and for years he travelled with Spaulding & Rogers' Show, receiving, as a compensation, little more than $30 per week, while at present the most ordinary talking clowns are paid from $75 to $150 per week throughout a long season. Dock Thayer, Jim Meyers, Jerry Reynolds, Pete Conklin and the Pastors, Tony and Billy, each shone resplendent for a time in the sawdust arena, but of the lot Tony is today the only one possessing either reputation or money. Tony Pastor was apprenticed to Old John Nathan, and having proved a failure at everything else, he was put to clowning. His first reputation was made under the management of Jerry Mabie as a singer of comic songs and a few seasons afterwards he stepped from the ring to the stage, since which time his career is known to you. "Do you know how clowns are made?" asked a famous wearer of the motley of a Commercial Gazette man the other day. "I'll tell you; when a man has proved himself utterly incapable of anything else in the ring; when, he can neither ride nor tumble, do a rope act or swing on a trapeze, they smear his face with bismuth and glycerine, put a striped suit upon his back, and he is a full-fledged clown. Tony Pastor was dumped into the ring after this fashion, and is today a millionaire, simply because as a boy he was too trifling for any other line of business." Buck Gardner, Nat Austin, Ted Croust and John Lowlow are among the next batch of celebrities, the last-named being the best known jesters today. Lowlow and Old Si of the Atlanta Constitution were boys together, both running away from home when mere lads to join Uncle John Robinson's circus, then exhibiting in the South. Small soon tired of the rough life, however, and returned to his home, and sorrowing parents, while Lowlow journeyed on toward the North and now, at the end of twenty-five years' service in this one show, finds himself owning some most valuable property in the City of Cleveland. Talking clowns like Lowlow and his companions, are fast becoming a thing of the past, however, the silent clown now usurping his place. Of the eight or nine clowns with the Barnum show, all are of this description, and it is a rule with the management of that concern that as soon as a man opens his mouth, he is handed his salary and dismissed. The silent clown proper is a sort of a "Lone Fisherman" indeed, and this famous character is said to have been suggested to the author of "Evangeline" by a performance witnessed at the circus. The silent clown is as different as the Humpty Dumpty of the pantomime as is the latter from the Shakespearean jester. He is a quite peculiar fellow, comical both in his make-up and expression of face and usually wanders about the ring in a listless sort of a way, as if naturally unmindful of the presence of other people. This style of business was introduced to our tented shows by the two celebrated European clowns Chadwick and Wheel. Both were large and powerful men and without saying a word would stumble into the ring, pick up a pony, trick mule or even some famous rider or acrobat and carry them off under one arm in spite of their struggles. 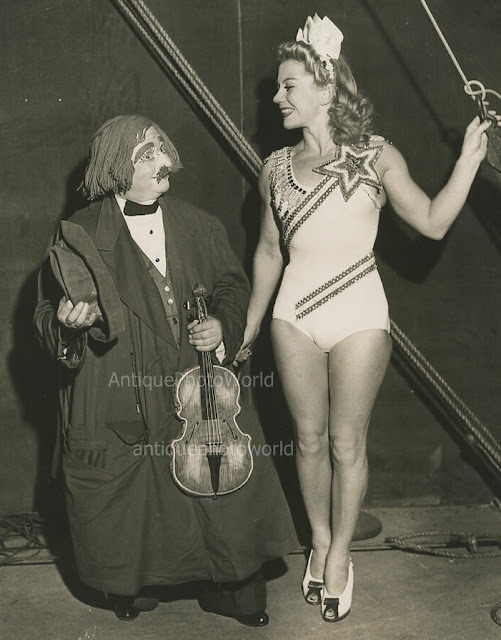 Ash, of the Robinson circus, first taught his business by John Wilson, then equestrian manager of the show, is accounted one of the best silent clowns and acted a "Lone Fisherman" almost as laughable as that of the original Harry Hunter. 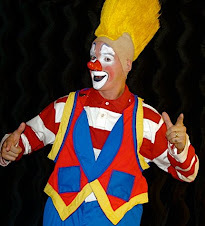 The Trick clown, common to almost every circus, is another peculiar species and although distinct from all others, may be either of the talking or silent sort. The Trick clown is usually an acrobat disguised in motley who, after floundering about in the ring to the great delight of the rustics, suddenly jumps upon a horse and discovers the fact that he is quite a skillful rider. Among the tumblers he sometimes proves the best, and as a bar performer is frequently hard to surpass. The first of our Trick clowns was the great Frenchman, Oriole, who made his appearance in Paris about 1850 and who, it is claimed, was the first man who ever did a somersault on a horse. George Adams, the pantomimist, before taking to the stage, was famous among trick clowns, having served his apprenticeship under Cooke, the great Englishman. He was "creeked" when quite a boy - that is, he had certain joints in his back so twisted as to render him extremely supple - and it is doubtful whether any clown who ever stepped into the arena could at all compare with him. Coming from a great family of circus performers, Adams proved an exception to the rule of the general worthlessness of clowns as gymnasts or riders and before ever putting white on his face had won for himself an enviable reputation as a rider, bar performer and tumbler. Of the many pantomime clowns the most celebrated within the remembrance of any of the present generation were undoubtedly the Ravels; indeed it is claimed that the first pantomime ever produced upon the American stage "Jocko, the Brazilian Ape," was with these people as principals. The Ravel Brothers, (Mazetti, Gabriel, Francois and Antoine), each have nothing added to their fame at this day. They were the greatest of all pantomimists and are equally as celebrated in Paris as afterwards in this new-found home. Pantomime in all essentials is the same no matter whether it be French, English or Italian; yet there is, to the acute observer, a difference in clowns, the English or American being just as distinct from the others today as when in 1700, even before the time of Rich, the first crude pantomime was given in London. The Martinettis came over from Paris with the Ravels as "property men" and gradually as one after the other of the famous brothers dropped out of the company assumed the vacancy until in the end "Mazumma, the Night Owl," "The Red Gnome" and the other famous pantomimes were played by them and not by the Ravels. However, the Martinettis never amounted to much, nor did the Leland family who came first after them. Maffit and Bartholomew and others gained some little notoriety in these same pantomimes, but the next great success after the Ravels was that made by George Fox at the Olympic Theatre, New York, in 1867. As Humpty Dumpty he has never had his equal and is admitted by all to have been the funniest clown ever seen upon the stage. Tony Denier and George Adams were the nearest approach to Fox, the last named having fairly won the distinction of being the greatest of living pantomimists with the probable exception of the Hanlons who, however, strictly speaking, do not come under the head of pantomime clowns. As to salaries, the pantomime clown is the best paid of any, $200 and $300 a week not being considered at all out of the way as a compensation for their labors and the Ravels, Fox, the Hanlons, George Adams and even those less celebrated among them have, in their day, earned ample fortunes. 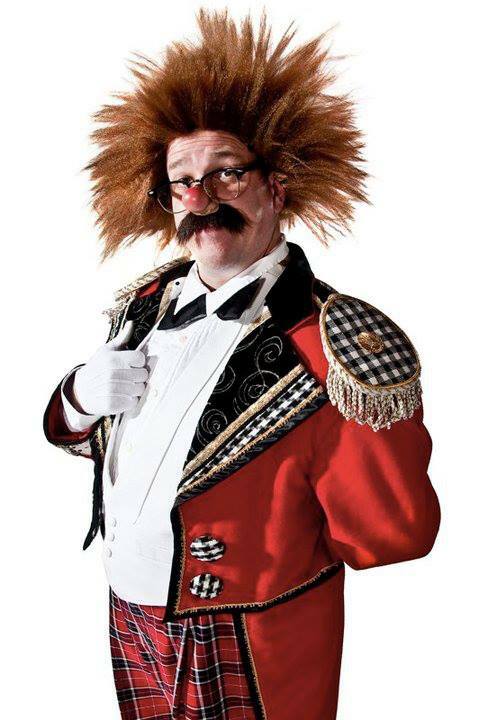 BURLEY — Reactions to the recent passing of a famous circus performer just prove the saying that everyone loves a clown. 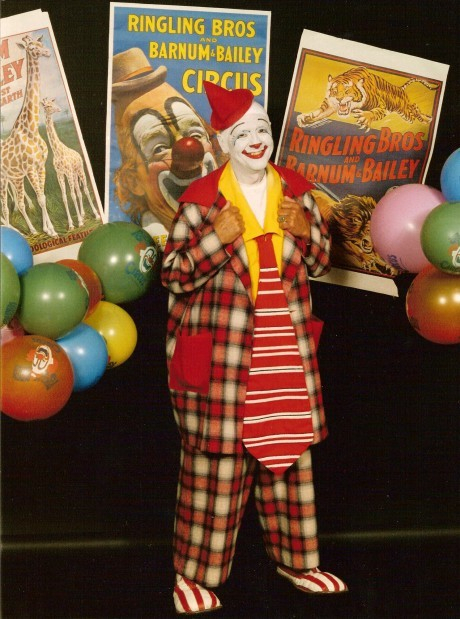 Former Ringling Bros. and Barnum & Bailey clown Glen “Frosty” Little, 84, died Tuesday in Kimberly. “I already miss him like crazy,” said Little’s wife, Pat Little, who described the man under the Ringling Boss Clown makeup as extremely kind and loved by people around the world. Fans’ love for her husband kept Pat’s phone ringing Wednesday with calls from around the world as the news of his death spread. The Littles settled in Burley after Glen’s retirement from “The Greatest Show on Earth” 19 years ago. But he didn’t exactly hang up his nose — instead, he settled in teaching another generation of clowns how to make people chuckle. Clown Tricia “Priscilla Mooseburger” Manuel, who lives in Maple Lake, Minn., worked under Glen for several years at the Ringling circus. 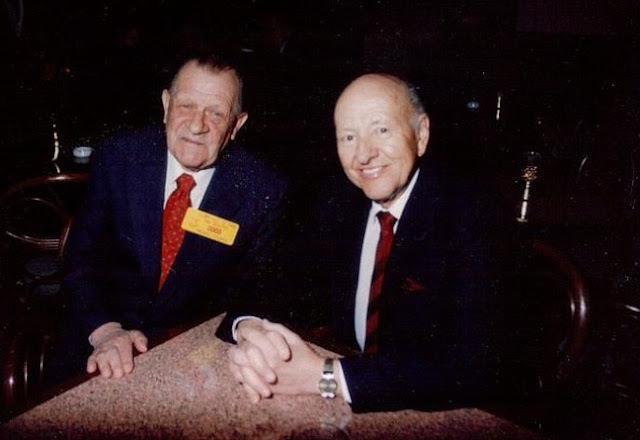 Manuel said many of the old-time circus greats learned from Glen, who was inducted into the Clown Hall of Fame in 1991. He received his Master Clown title from Ringling while Manuel performed with him in the 1980s. Manuel worked with him again when she opened Mooseburger Clown Arts Camp. Glen was tough, she said — after all, clowning around was his life’s work. Manuel said Glen was able to make a successful transition from a circus clown performing in front of thousands of people to a hometown clown performing in someone’s living room. Bruce “Abernathy D’ Clown” Chenoweth of New Plymouth worked with Glen writing gags for his clown partner, Ann “Twinkles” Chenoweth. Glen passed along gags to the Chenoweths, including one tricking the audience to think they’re about to get doused with a water bucket really filled with confetti. “His basic clown skills that he taught were tremendously valuable and his makeup was magnificent,” Bruce Chenoweth said. Pat Little, who enjoyed a 41-year marriage with her husband, said that he above all loved to joke with people. Red Skelton never forgot him at Christmas, Pat said, and actor Iron Eyes Cody adored him. Laurie Welch may be reached at lwelch@magicvalley.com or 677-5025. Join us in turning this into the "Hotarini Halloweeni" by sending your Frosty Halloween photos or photos of yourself in your own makeup and costume with Frosty's signature red hat. Frosty Little and the Blue Unit Clown Alley of the Ringling Bros. and Barnum & Bailey Circus' 112th edition performing and being interviewed. This video also features Lou Jacobs legendary Hunting Gag. We are so sorry to hear about the loss of Frosty Little. Coco and I first met Frosty in the late sixties when Coco was doing advance for Ringling and Frosty was on the show. He was Boss Clown of the next generation circus clowns. Through the years we would meet up again. We then worked together with Leon McBride and Advanced Studies where Coco and Frosty shared their experience with future and practicing clowns. Our heart felt sympathies go out to Frosty's family and friends. Master Clown and International Clown Hall of Fame inductee Glen "Frosty" Little demonstrating the proper way to throw a pie on Good Morning, America at the Ringling Bros. and Barnum & Bailey Clown College 20th Anniversary reunion in 1987. Master Clown and International Clown Hall of Fame inductee Glen "Frosty" Little and the Blue Unit Clown Alley of the Ringling Bros. and Barnum & Bailey Circus' 118th edition performing the classic Clown Car Gag. Frosty Little and the Blue Unit Clown Alley of the Ringling Bros. and Barnum & Bailey Circus' 118th edition performing the classic Firehouse Gag. Glen "Frosty" Little (born 1925 in Genoa, Nebraska) is a circus clown who served with the Ringling Bros. and Barnum & Bailey Circus for over 20 years. He is one of only four clowns ever to have been given the title "Master Clown" by the Ringling Bros. and Barnum & Bailey Circus. Little saw his first circus at the age of seven, which instilled a life-long love of the circus in him. His nickname "Frosty" was given to him as a boy by his grandfather, who compared him to Jack Frost due to his love of playing in the snow. It is more than a stage name; he even signs his checks "Frosty Little". Little served in the US Navy during World War II, and was wounded. He learned juggling from a fellow patient while convalescing, a skill that would later help him land his first clowning jobs. In 1950, he married his wife, Patricia, who is a photographer and former schoolteacher, with whom he has two daughters. Prior to joining the Ringling Bros. and Barnum & Bailey Circus, Little worked as a postal employee and land surveyor in Colorado. From 1954 to 1956, he performed as a clown at a local amusement park on weekends, wearing a rented costume. 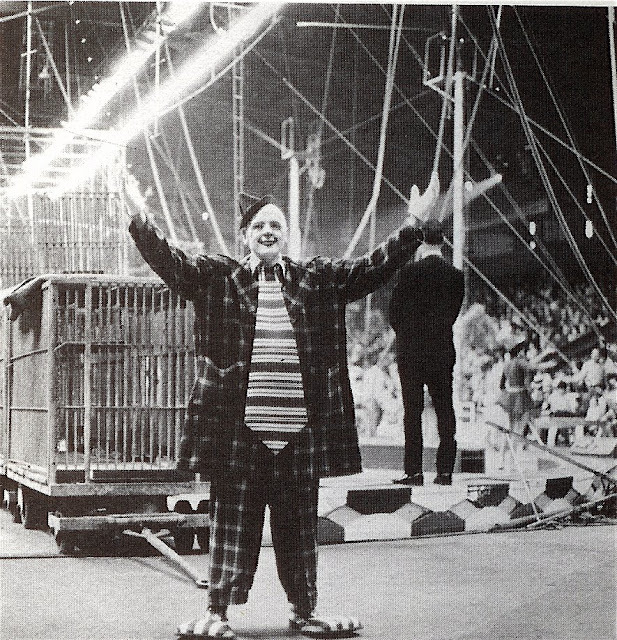 In 1956, he went into clowning full-time after he was hired by the Joe King Circus, with which he toured the Rocky Mountain States for half of the year. 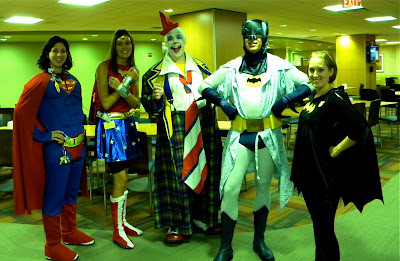 The rest of the year, he freelanced as a clown at birthday parties and special events. He continued working for the Joe King circus for seven years until its closure in 1962. Little also worked for other small outfits like the Tom Mix Show and Sells Floto Circus, but he had long had his eye on "The Greatest Show on Earth" – Ringling Bros. and Barnum & Bailey. In 1968, he finally got his chance when Ringling created the Ringling Bros. and Barnum & Bailey Clown College; Little was in its first graduating class, and at the age of 44, he landed a job with Ringling's newly split-off second touring unit. 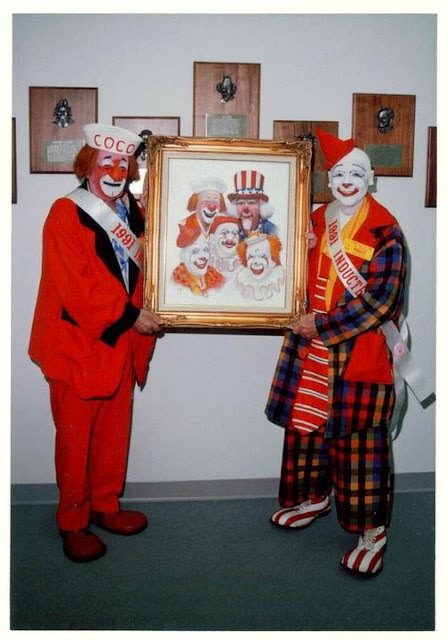 In 1970 Little was promoted to "Boss Clown" of his unit, and from 1980 until his retirement in 1991, he was the circus' "Executive Clown Director", overseeing clowns in both units, and writing new gags for the clowns to perform. In his lifetime, he has written over 300 gag routines. In his later career, Little also served as an advance man for the circus. Little also taught at his alma mater, the Ringling Bros. and Barnum & Bailey Clown College. 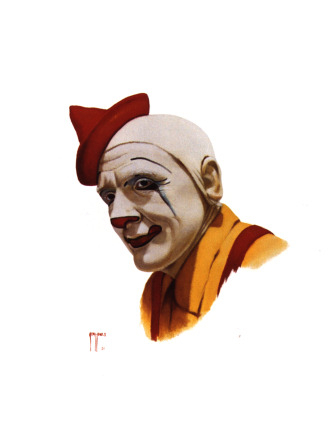 In 1988, Little also helped establish the Ringling circus' first overseas touring unit (based in Japan), choreographing gags and training members of their Clown Alley. Among the dignitaries he entertained were US Supreme Court Justice Sandra Day O'Connor and US President Richard Nixon. He also appeared on 12 Ringling Bros. TV specials. Little sustained several injuries over the course of his career, including seven broken ribs, ruined knees, and numerous other injuries that left him with "crooked fingers". After one accident, he was rushed to the hospital (after completing his performance) still wearing his clown suit. In 1983, Little was named "Master Clown" by the Ringling organization, only the fourth clown ever to be so named (after Otto Griebling, Bobby Kaye, and Lou Jacobs – Little's mentor). Little remains the last person ever to have been awarded the title. Little was inducted into the International Clown Hall of Fame in 1991. 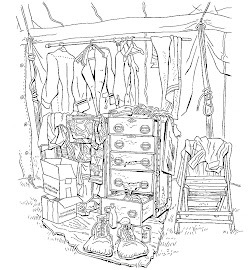 Little retired to Burley, Idaho, where he ran his own circus museum. 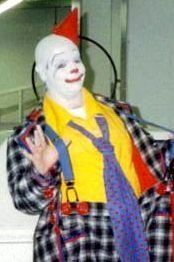 In 1996, Little wrote a book on his experiences as a clown, entitled Circus Stories: Boss Clown on the Ringling Brothers and Barnum & Bailey Circus for More than 20 Years. In 1977 Little was asked by the Sarasota Herald-Tribune what he would do after he retired from the circus. Little replied, "Leave here? Are you out of your mind? I'm never going to leave here. I'll always be a clown." A. Robins during the run of Robert Ringling's Spangles at Madison Square Garden in the summer of 1943. It's POOKAMANIA! You can't hope to stop it!